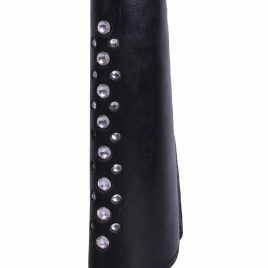 Leather stirrup leather covers to cover the buckles of stirrup leathers on a dressage saddle. 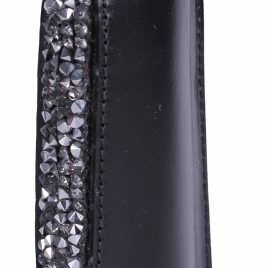 Decorated with rhinestones matching to the Lupine products. 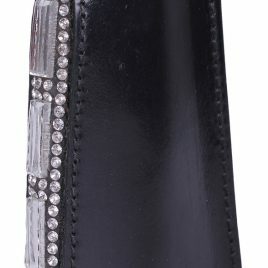 Patent leather stirrup leather covers to cover the buckles of stirrup leathers on a dressage saddle. Decorated with rhinestones matching to the Madonna products. Stirrup covers made of turnout fabric. 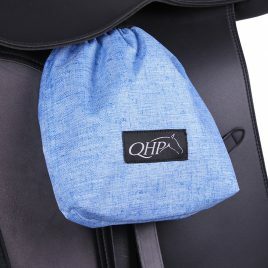 These covers protect the saddle from scratching and dirt from the stirrups. With an elasticized opening. 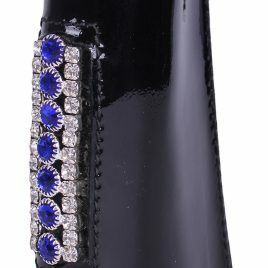 Patent leather stirrup leather covers to cover the buckles of stirrup leathers on a dressage saddle. Decorated with rhinestones matching to the Taylor products.